The KRG Joint Crisis Coordination Centre has issued the following statement, warning that the KRG has exhausted its ability to respond to the ever-growing humanitarian catastrophe. Without a significant increase in funding from the international community and financial transfers from the Government of Iraq, the Kurdistan Region will not be able to contain the humanitarian crisis, and faces exceedingly dire consequences. The Kurdistan Regional Government has long adopted an inclusive and welcoming policy free of discrimination based on religious, cultural, ethnic or political identity. We recognize the vital importance of aiding those that are fleeing violence and unrest from other parts of Iraq in order to establish and maintain peace in this conflict-ridden area. From 2003 up until 2013, Kurdistan opened its doors to more than 600,000 internally displaced Iraqis. 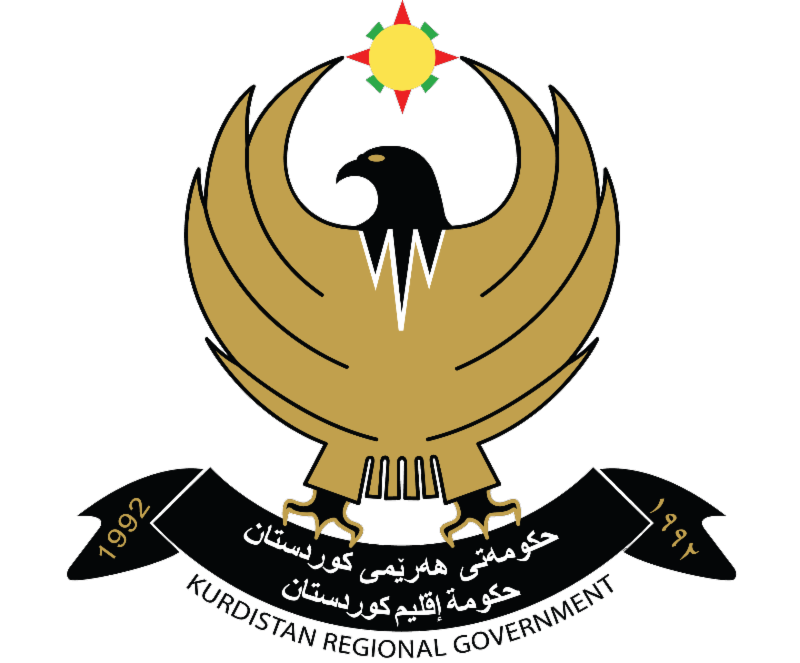 The Government and the people of the Kurdistan Region understood that sustainable peace and development cannot be accomplished if some members of society are marginalized, and so we championed for inclusiveness by ensuring that these new members of our society were granted the same rights, protections and access to services. Today, the Syrian civil war has produced one of the largest displacement crisis in the world and a significant number of Syrians fleeing violence have sought safety and shelter in the Kurdistan Region. In a sudden escalation of violence, the brutal invasion of the Islamic State in 2014 resulted in the forced displacement of three million Iraqis. The situation has rapidly developed into a full scale level-three humanitarian crisis. Offering protection and shelter, the Kurdistan Region once again became a safe haven for more than half of the displaced population and we have continued to keep our borders open. Today, the Kurdistan Region is offering safety, protection and services to 280,000 Syrian refugees and up to 1.5 million IDPs. In 2014, an average of 80,000 IDPs entered the Kurdistan Region every month. These figures exclude the displaced populations served by the KRG in the neighboring provinces. As a result of multiple waves of displacement, the population of the Kurdistan Region has increased by almost 30%, placing immense pressure on existing resources and services. While the nature of the crisis challenges our ability to collect exact displacement figures, the number is significant enough to raise acute emergency alarms. The Government of Iraq has unconstitutionally withheld KRG's 17% share of the annual budget for the past 17 months. This has crippled the KRG's ability to maintain public services for the local population and meet the basic needs of the IDPs. Confronted with the trifecta of crises - loss of 90% of the fiscal transfers, the refugee and IDP crises and the war on ISIS - KRG cannot maintain its level of contribution and open-door policy without putting the safety and welfare of the population and stability of the Region at risk. Whilst the initial consequences are apparent, the full scale of the impacts is still unfolding due to the on-going nature and magnitude of the conflict. Up to date, the KRG has managed to contain the crisis and meet the basic needs of the affected populations with the assistance of UN Agencies and national and international NGOs. Yet the heaviest burden has been borne by the host communities, whose living standards, access to services and opportunities have drastically deteriorated over the past few years. Regrettably, the GoI has remained largely absent in the response to the IDP crisis in the Kurdistan Region despite its constitutional duty to its displaced citizens. In one of the world's most complex humanitarian crisis, the KRG and humanitarian partners on the ground are challenged to meet the deepening needs of a population in protracted displacement, while also responding to new emergencies and influxes. The military operations and subsequent displacements from Anbar have offered an insight into the likely outcomes of the anticipated liberation of Mosul. The worst case scenario is warning of the displacement of one million people. Based on previous displacement trends, geographic proximity, safety and security in the Kurdistan Region and the restricted access policies of other provinces in Iraq, the majority of the new IDPs will more than likely flee to the Kurdistan Region. Over the past years, the refugee and IDP response plans have remained chronically underfunded. At its conclusion, the Strategic Response Plan had been funded at 26% while the corresponding figure for the Refugee Response stands at an alarming 19%. Adding to this pressured funding situation, the GoI has not only lacked in providing assistance but has also withheld KRGs share of the national budget. In the recently launched Humanitarian Response Plan (HRP), the humanitarian community has appealed for $500 million. If funded, the HRP will alleviate acute suffering but fall short of tackling the impact on host communities and society at large. A recent report published by the World Bank and the Ministry of Planning estimates the cost of stabilising the region back to the pre-crisis level at $1.4 billion under the baseline scenario, in which no new influx of displaced populations enter the Kurdistan Region. In the worst-case scenario, the World Bank and MoP have estimated a staggering need of $2.4 billion for stabilization costs. It is the regrettable conclusion of the KRG that without a drastic increase in funding from the international community and financial transactions from the GoI, the Region will neither be able to cope with the current crisis, nor respond to anticipated new displacements. As humanitarian partners formulate contingency plans, it is paramount to recognize that the Kurdistan Region has exhausted its response and absorption capacity and is at risk of total collapse. KRG remains committed to its humanitarian responsibilities and will continue to voice the plight of the women, men and children in distress. We are calling on the international community and the GoI to provide the region with the necessary resources and technical support to continue offering a safe haven to those in need. In the Black community, the narrative has been all about the failure of SB 570, but the real battle was SB 1229, because it would have given Madigan and AFSC- ME the upper hand in their negotiations with Rauner. When Dunkin made the declaration, “I don’t work for Mike Madigan,” he dramatically shifted the power of the super majority out of the hands of the all-powerful Madigan into the hands of a Black man. It’s a position that Blacks have not been in very often, and are very uncomfortable with. With the implementation of the JCPOA, the international community will indeed look the other way, even as the gruesome pictures continue to come out of Syria. As major multinational companies now line up to return to business-as-usual with Iran, we must remind them of this fact: Bashar al-Assad continues to murder his own citizens with the direct support of Iran. And the pictures of the dead body of Aylan Kurdi, and the millions of refugees fleeing Syria, should serve as an indictment of the world’s indifference to Iran’s responsibility for crimes against humanity. A history of the Social Gospel in Chicago. Reviews heavy with "Workerism" by people who don't work, but still, it's Chicago. The picture at the top of my blog shows Madison and Pulaski in Chicago when it was one of Chicago's three retail powerhouses. The others were the Loop and 63rd and Halstead. A Chicago Sojourn takes a look at each building here, here, and here. Great stuff for anyone interested in Chicago's West Side's history. Kerry's tweet and a poll over to the right for your thoughts. I'd had to see it but maybe it's a year for rebels. UPDATE: Joe tells Illinois Review "Nope". In early July, during another rough patch for Hillary Clinton’s presidential campaign, Dan Pfeiffer took to CNN to reassure his party. Pfeiffer used to be President Obama’s top communications aide. The title of his op-edwas “Stop the bed-wetting: Hillary Clinton’s doing fine.” Bed-wetting, Pfeiffer explained, “is a term of art in Obamaland.” Ah, the president and his acolytes. Such sophisticates. Right at the intersection of Madison and Pulaski. The image shown in the banner of my blog.